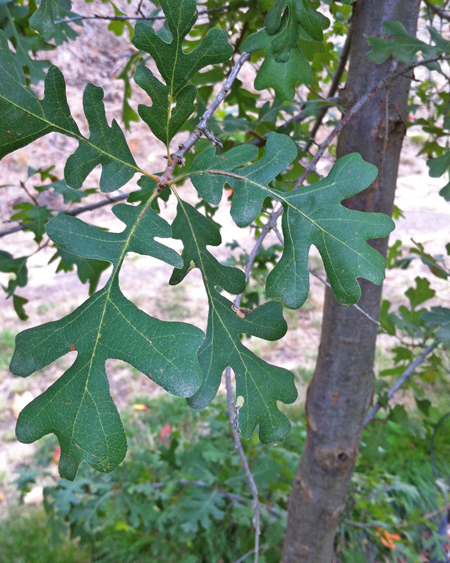 The largest of North American oaks and endemic to the hot interior valleys of California, this gorgeous oak species boasts a majestic, picturesque form in its spreading rounded crown, twisted branches, and deeply lobed leaves. It can reach anywhere from 30-80 feet tall with a 30-50 foot spread when given the right conditions. Long, drooping branches and beautiful, thick checkered bark only further accentuate these beautiful trees. 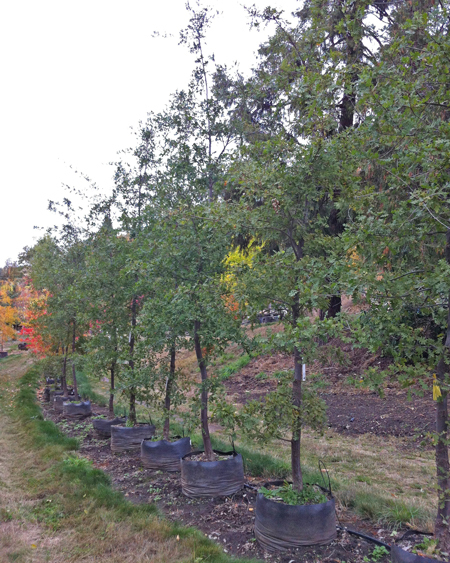 In the wild, these trees are found in deep, rich soil with plenty of room to grow. At home, plant them in full sun, in deep, average moisture soils with good drainage. Great plant for attracting birds.